Week 27 in the Ok Liga has left Barça Lassa closer to the league title thanks to their handsome 10-0 win over Vic at the Palau Blaugrana which keeps them four points ahead of second placed Liceo with just three games of the campaign remaining. Goals from Panadero, Alabart and Barroso alongside hat-tricks from Pablo Álvarez and Lucas Ordoñez gave them the win in a game they dominated from start to finish. Panadero struck early to give Barça the lead in just the fourth minute of the contest. Goals from Alabart and the first of the match for Pablo Álvarez meant the home side went in at half time with a comfortable 3-0 lead. In the second half the script remained the same. Seven goals after the break came in an avalanche of attacking play. Ordoñez registered his hat trick, scoring the first and last of the half and Pablo Álvarez added two more to his personal total to bring it to 44 for the season. 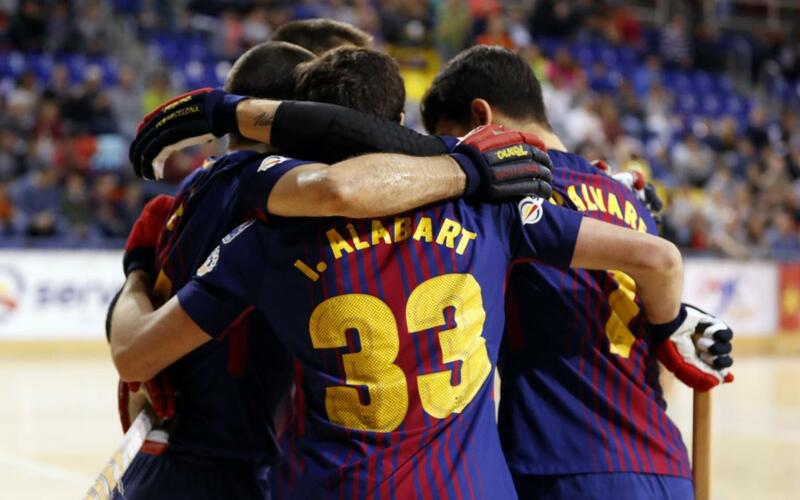 The comfortable victory means Barça Lassa are still in prime position to take the league title with their next game coming on Sunday away at Lleida (12.00pm CEST).